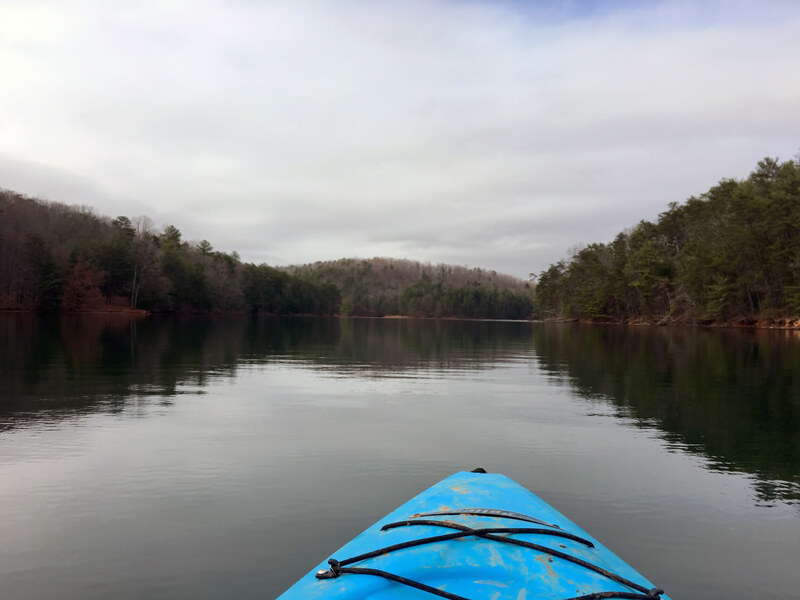 Framed by the undulating foothills of the Blue Ridge, Southwest Virginia’s Philpott Lake is an idyllic escape, teeming with outdoor adventures. Located just outside Martinsville, Virginia, the sprawling 3,000-acre lake is cradled by 7,000 acres of mixed hardwood forests—it feels like a slice of pristine wilderness. 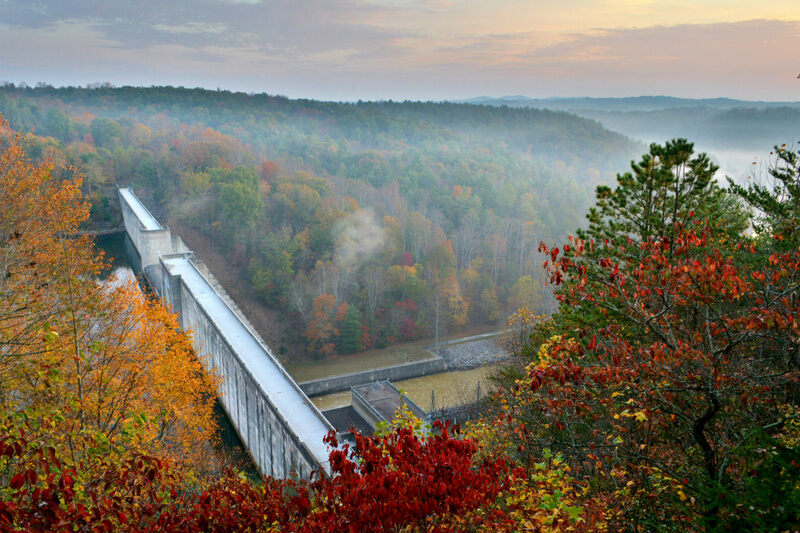 But the lake’s proximity to Martinsville also means there are plenty of ways to pair outdoor exploits and cultural excursions, all while savoring the serene Blue Ridge backdrop. Here are seven unique ways to make the most of a trip to this scenic section of Virginia. Just south of Martinsville, lies one of the most singular educational spaces in the state—the non-profit Sustainable Homestead Institute. The 140-acre campus is a fully functioning farm, offering public tours and courses in permaculture design. For budding survivalists, the institute also offers outdoor survival courses imparting skills like shelter building and primitive fire-making. After garnering a set of finely tuned survival skills at the Sustainable Homestead Institute, test those outdoor chops with an offshore camping trip on Deer Island. Located in the middle of Philpott Lake between the Goose Point and Salthouse Branch recreation areas, the island is sprinkled with 21 woodsy campsites, ideal for seeking out constellations in the night sky. Craft the ultimate al fresco adventure, pairing pedaling and paddling, at Philpott Lake’s Jamison Mill Recreation Area. While riding the leafy, six miles of lakeside singletrack, keep an eye out for lingering relics of the recreation area’s rich past as a bustling 19th century grain mill. Scattered interpretive stops provide a glimpse into the community once surrounding Jamison Mill, which was operational until 1949. After savoring the forested singletrack, trade pedals for a paddle at the recreation area’s boat launch. Once on the water, paddle the three miles to Calico Rock, a towering crag soaring nearly 200 feet above the lake, or make the shorter trip to the cliffs nicknamed Blue Falls. Although submerged today, during the 19th century the cascade dubbed Blue Falls served as the final, impassible threshold for flat-bottomed Bateau boats cruising the Smith River from Ryans Branch. After a day of sunshine and singletrack, head for some well-deserved suds at Mountain Valley Brewing in Axton. Catch the sunset while sipping the brewery’s trademark ales, which are made fresh hops it grows on site. The frequently rotated taps offer everything from hearty brews like the 8.5% ABV Gingerbread Man imperial stout to easy-sipping sessions like the 5.0% ABV Long View American pale ale. The welcoming brewery has options to suit any palate. Besides providing a serene escape for human visitors, Philpott Lake is also a haven for wildlife. Head out at dawn to revel in the lake’s thriving bird scene, but first fuel up with freshly baked bagels from aptly named Rising Sun Breads in Martinsville. Once adequately caffeinated and carb-loaded, hopscotch the stops on the state birding and wildlife trail surrounding Philpott Lake. Seek out brown-headed nuthatch, pine warblers, and vibrantly colored American goldfinches in the white pines fringing the Philpott Dam, scour the shoreline for leggy killdeer or belted kingfishers at the Goose Point Recreation Area, or head inland, and scan the woodlands of the Fairystone Farms Wildlife Management Area for ruby-throated hummingbirds, indigo bunting, and cedar waxwing. A trail hub for both landlubbers and paddlers, Philpott Lake is perfect for weekend warriors itching to run, hike, bike, or paddle before hitting the town. 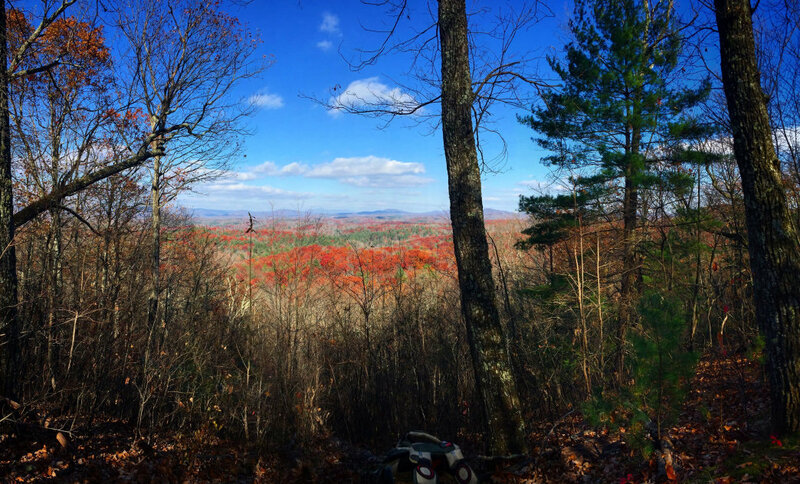 Hikers, runners, and mountain bikers have plenty of acreage to explore on the 10-mile Little Mountain Trail System at Fairy Stone State Park, perched on the western reaches of Philpott Lake. Paddlers can tackle the Philpott Lake Blueway, a 25-mile water trail linking natural wonders, historic sites, and nearly a dozen different boat launches. After a day spent running, riding, or paddling, soak up Martinsville’s blossoming music scene with a show at the historic Rives Theatre. First a Depression-era playhouse, then a long-running cinema, today the space has been reimagined as an intimate concert venue, drawing an eclectic string of headliners—from bluegrass bands to soulful singers. Music lovers can also plan an early-summer lake visit to coordinate with the RoosterWalk Music & Arts Festival in May. The multi-day jam takes place on a 151-acre farm and helps raise funds to support local music and arts programs in Martinsville. Offering a photogenic Blue Ridge backdrop, Philpott Lake’s leafy shoreline is an idyllic place for a picnic. First, stock up on sweet and savory sundries at one of Martinsville’s gourmet markets. Head to the Uptown Martinsville Farmers Market for fresh fruit and tasty pastries, then grab a decadent dessert at Cocoa Trail Chocolates in Collinsville. Next, pick an ideal spot beside the shimmering water of Philpott Lake. Swimmers and sandcastle-engineers can hit the sandy beaches dotting the Bowens Creek, Salthouse Branch, and Horseshoe Point recreation areas, while scenery-seeking shutterbugs can stake out a postcard-worthy spot overlooking the Philpott Dam. Paddlers can cruise the pristine shores of the Twin Ridge Recreation Area, and sneak in a short-but-sweet loop of Deer Island before tucking into a well-earned, picnic lunch. Spend the day soaking up the lake views along the 4.5-mile Dogwood Glen Trail, linking Philpott Dam with the Salthouse Branch Recreation Area—and be sure the make the 0.7-mile out-and-back detour to the scenic Spring Cove peninsula. After the hike, head directly to one of Martinsville’s local wineries for a round of drinks. You can relax with a summery glass of rosé or a crisply refreshing pinot gris on the tasting terrace at Hamlet Vineyards in Bassett. Besides the scenery and serenity, Philpott Lake is also loaded with burly largemouth bass—and there are plenty of picturesque places to cast for behemoth trophy fish. All eight of the recreation areas ringing the lake offer both boat launches and secluded spots to cast from the shoreline, an ideal place for hooking largemouth bass lingering among fallen tree limbs and rocky ledges. While largemouth bass are the most abundant species, the lake also harbors smallmouth bass, black crappie, walleye, and catfish. The lake is also renowned for its spring walleye spawn, when hordes of the murky-eyed perch gather along the Runnet Bag branch. After casting for lake monsters, celebrate with a hearty dose of award-winning BBQ in Martinsville. Featured on the likes of the Food Network and the Travel Channel, the Checkered Pig is a perennial champion at cook-offs around the country, and serves up classics like barbecued chicken, smoky beef brisket, and sauce-slathered, slow-cooked pork.